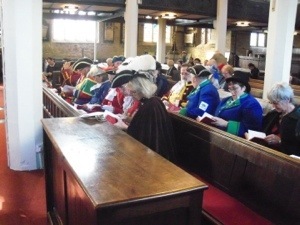 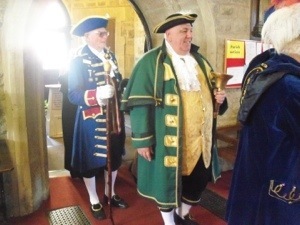 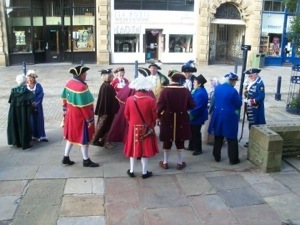 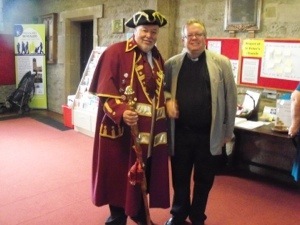 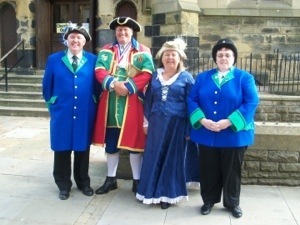 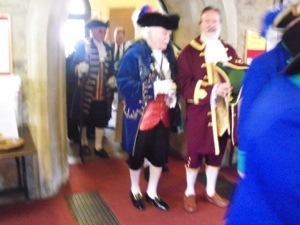 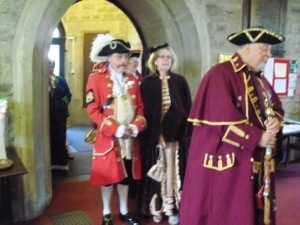 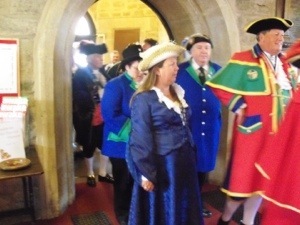 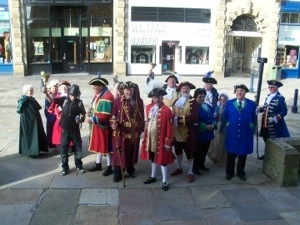 This morning’s Eucharist was enhanced by the presence of the Loyal Company of Town Criers. 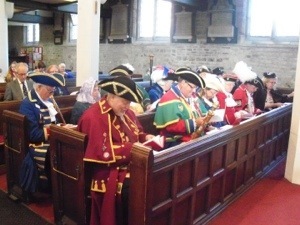 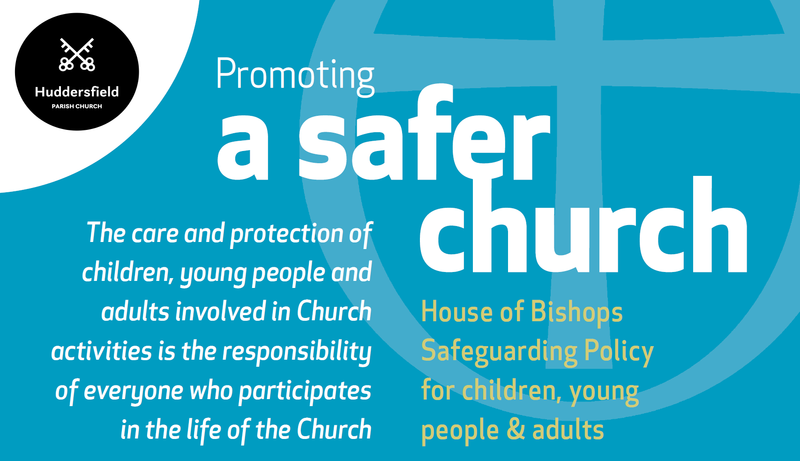 The church calendar was set for St Michael and All Angels. 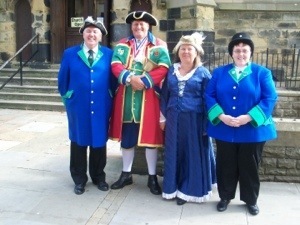 Angels are God ‘s messengers and Town Criers seem to be more colourful,and somewhat louder versions.